With distant roots in work conducted when the author was an urban planning student, scientific research and design assistance in children’s environments continues through the Natural Learning Initiative, N.C. State University, in specific contexts, many of them educational. They include schools, children’s museums, zoos, botanical gardens, childcare centers, and neighborhood parks, playgrounds and pathways. Results are aimed at creating cost-effective demonstration sites that people can see and believe possible. The overall aim is to assemble the research evidence to influence built environment policy in favor of healthy child development – and thus the long-term health of all city inhabitants. An evidence-based, participatory community design approach utilizes the socio-ecological model and the concepts of territoriality, behavior setting, and affordance to create design programs that drive physical design. When successful, the process constitutes a dialectic that balances community change and continuity in a way that both builds culture and adapts to it. A number of past and current projects are profiled to illustrate the community design processes involved. 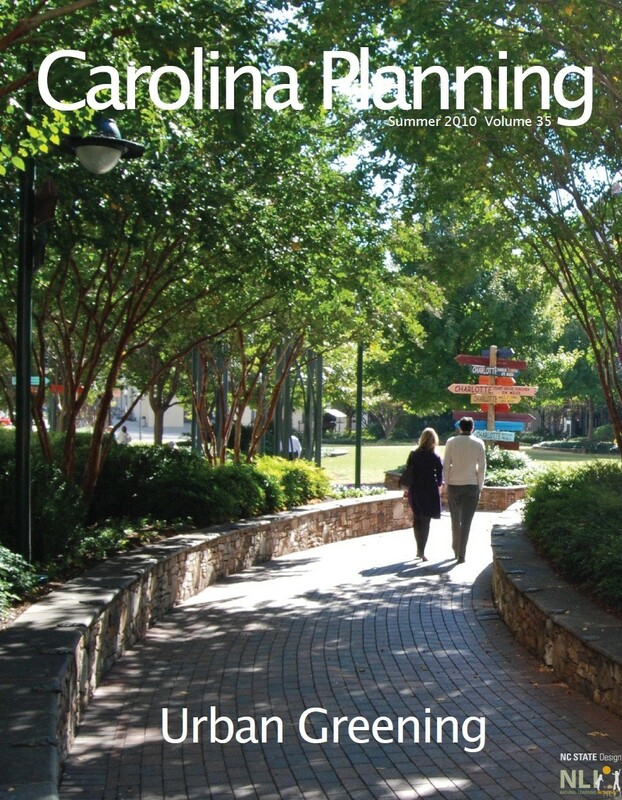 In Carolina Planning, Volume 35, 2010.